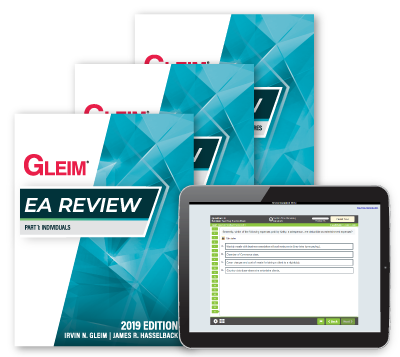 As long as you’re studying for the EA Exam, you’ll enjoy up-to-date EA review materials and a hassle-free money-back policy. If you have any questions about the material in our course, simply ask our team. We are here to help. Our Enrolled Agent course integrates all of the available materials into an easy-to-use, 3-step approach so candidates can diagnose weak areas, study from review materials written by professional educators, and apply knowledge through exam-emulating multiple-choice questions. Receive access to your own Personal Counselor, an exam mentor who will offer advice and assistance whenever you need it for the entirety of your studies. Our renowned test bank includes unique practice questions and supplies industry-leading answer explanations for every single answer choice to maximize your learning opportunities. 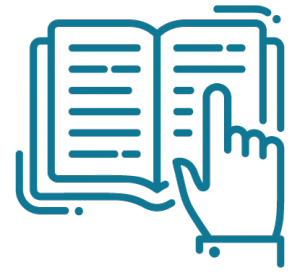 Our expertly authored textbooks contain comprehensive outlines and examples broken into small, bite-sized sections for maximum retention. The biggest test bank on the market contains unique questions, our industry-leading answer explanations, and unlimited practice exams. We’ve formatted our multiple-choice questions to look just like the ones you’ll see on exam day. Broken down into bite-sized chunks, our suggested study process includes three simple steps: Diagnostic, Comprehension, and Application. Through studying, you’ll build up your level of knowledge and deepen your understanding so that you can apply what you’ve learned. A full length Exam Rehearsal near the end of your studies diagnoses your weak areas and identifies where you’ll need to spend the remainder of your time before you sit for your exam. Because our system closely mirrors what you’ll actually see on exam day at the Prometric Testing Center, you’ll feel at ease when sitting for your exam. Our interface provides you with every opportunity to practice in an exam-like environment. 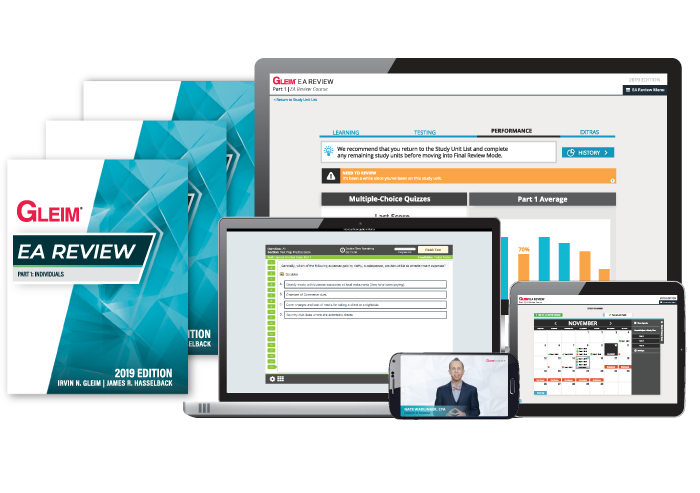 Better yet, our practice exam even provides you with all the pertinent exam screens and options that you’ll have presented to you on exam day. For over 40 years, candidates have trusted the content created by Gleim Exam Prep. Our IRS Special Enrollment Examination (SEE) materials are expertly authored by professional educators. Candidates who study with Gleim EA are exposed to all the areas of content on which the Enrolled Agent exam tests. 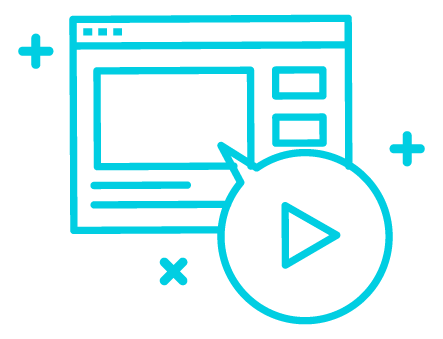 Thousands of questions make sure that you have the right amount and right type of practice with our unique offering – you don’t have to worry about memorizing answers. 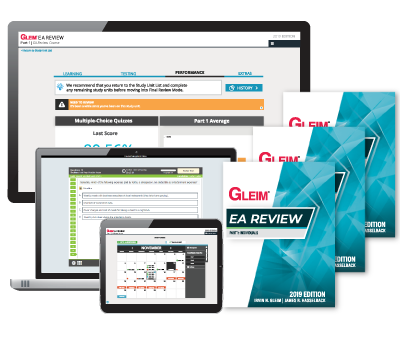 SEE WHY GLEIM EA IS THE MOST WIDELY USED EXAM PREP TO PASS THE EA EXAM! GLEIM IS HERE TO HELP YOU PASS.